Chinese red envelopes are commonly given out during the Chinese New Year, weddings, and birthdays and are considered to be very auspicious gifts. Red symbolizes fire and fire is thought to ward off bad luck. During the Chinese New Year, they are given out by married couples to small children, teenagers, and single adults. Click on Printables and print out your lucky envelope. Cut out and glue together to form an envelope. 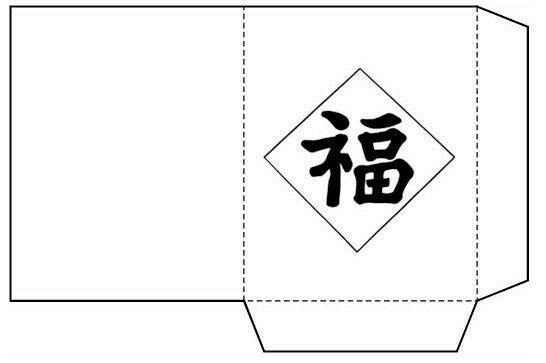 This envelope contains money for the recipient and brings luck to the giver.